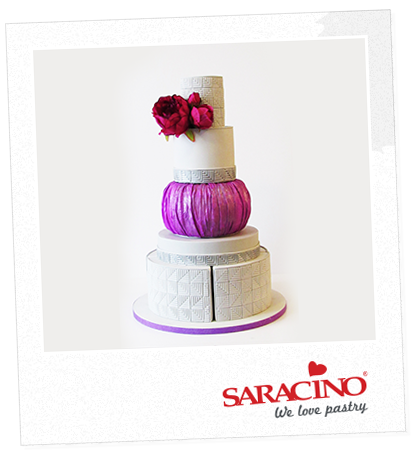 If the Saracino modelling paste becomes a little sticky during use apply a little Trex to your hands. If you find the gelatine is setting during use, don’t panic. Return to the microwave for 8-10 seconds. This can be repeated. 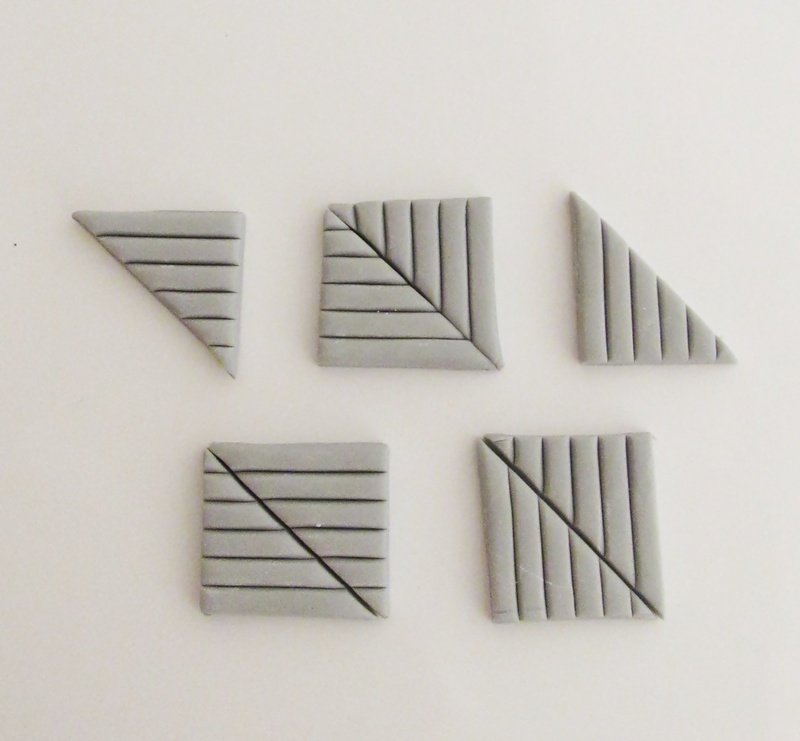 Different sizes of square cutters can be used to suit your pattern requirements and the size of your cake. Also different colour schemes can be used. 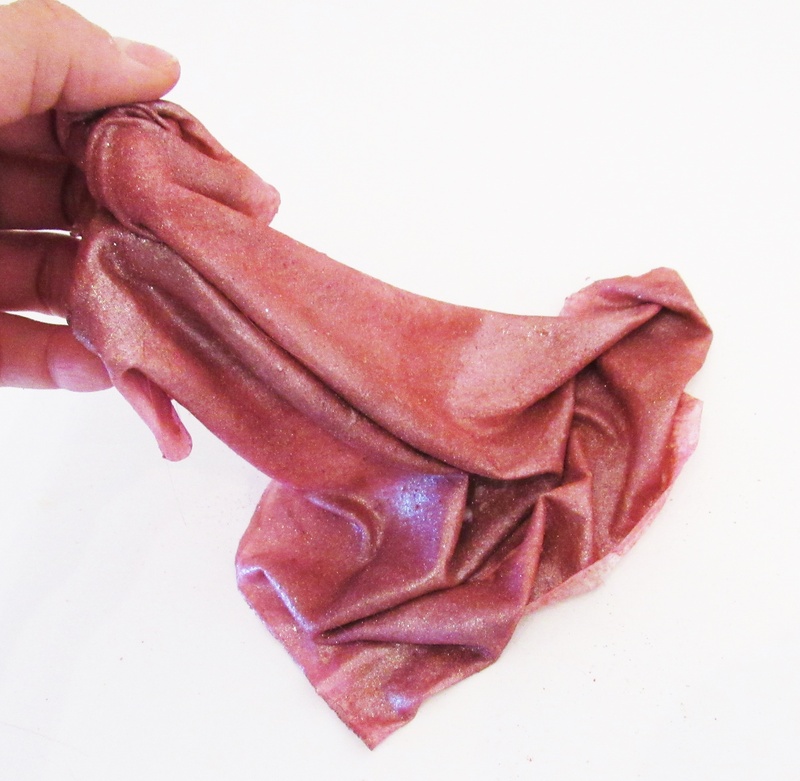 Add extra glitter dust to colour mix to achieve more sparkly effect. 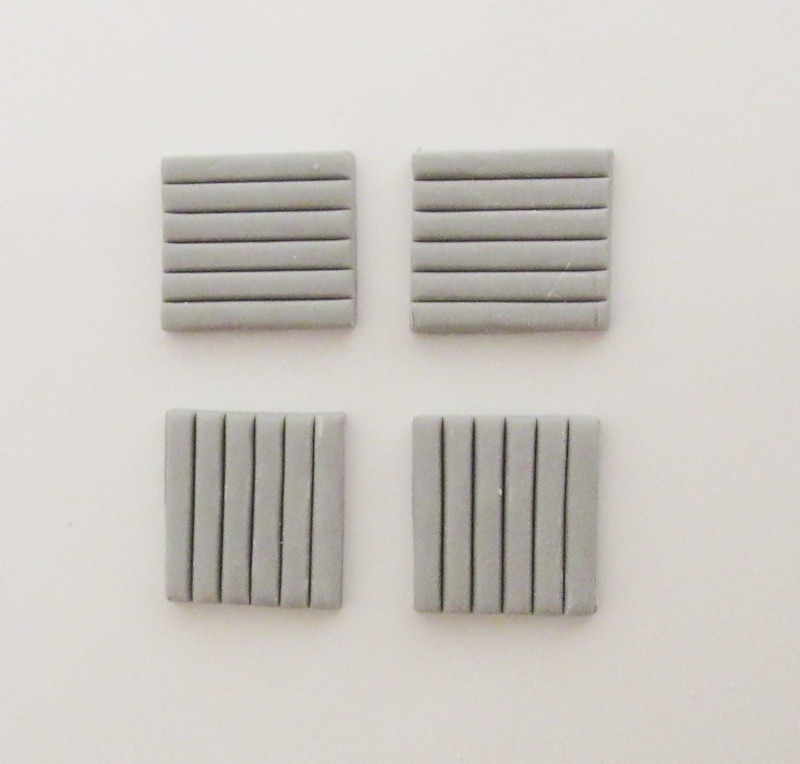 The PME line stripes come in different sizes. 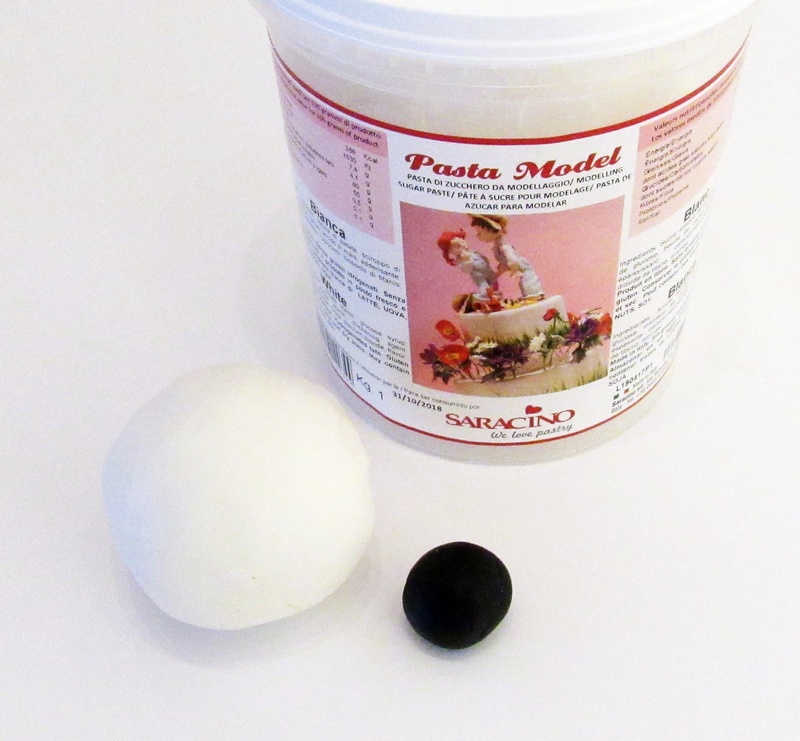 Mix the white and black modelling paste to achieve the grey colour. Mix well so that the paste is workable. 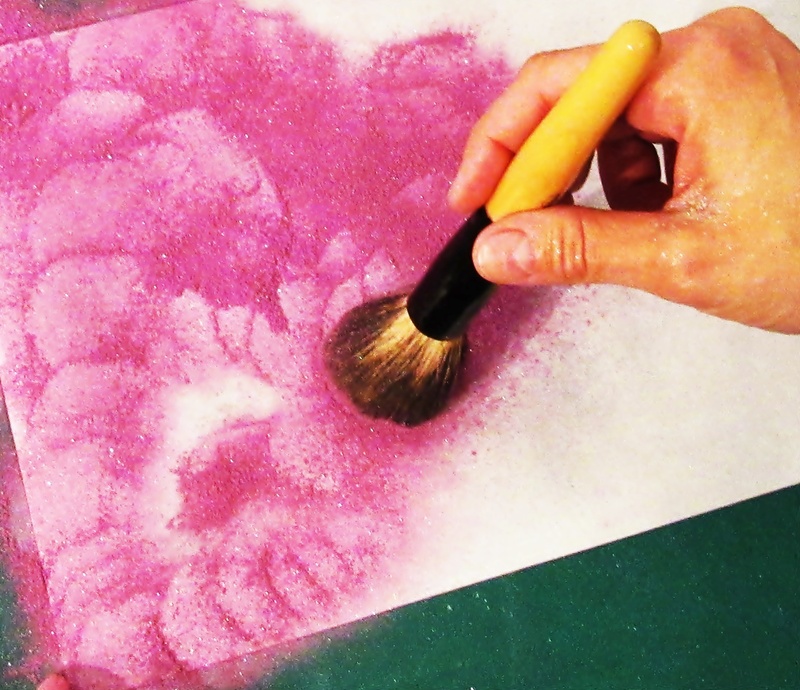 Dust your work area with cornflour. 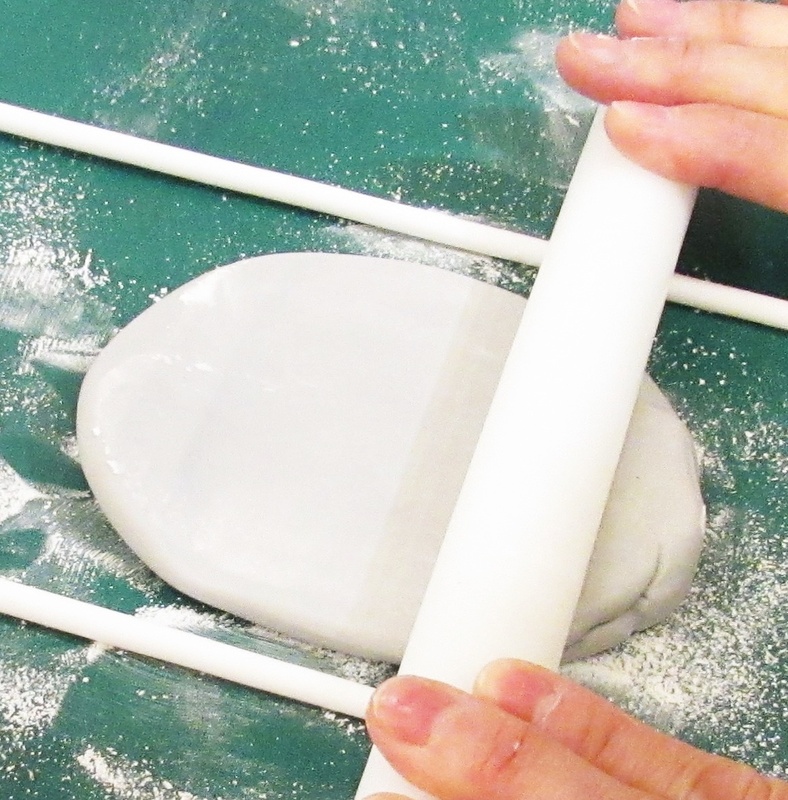 Roll out the paste using cake dowels as spacers to achieve an even thickness of paste. 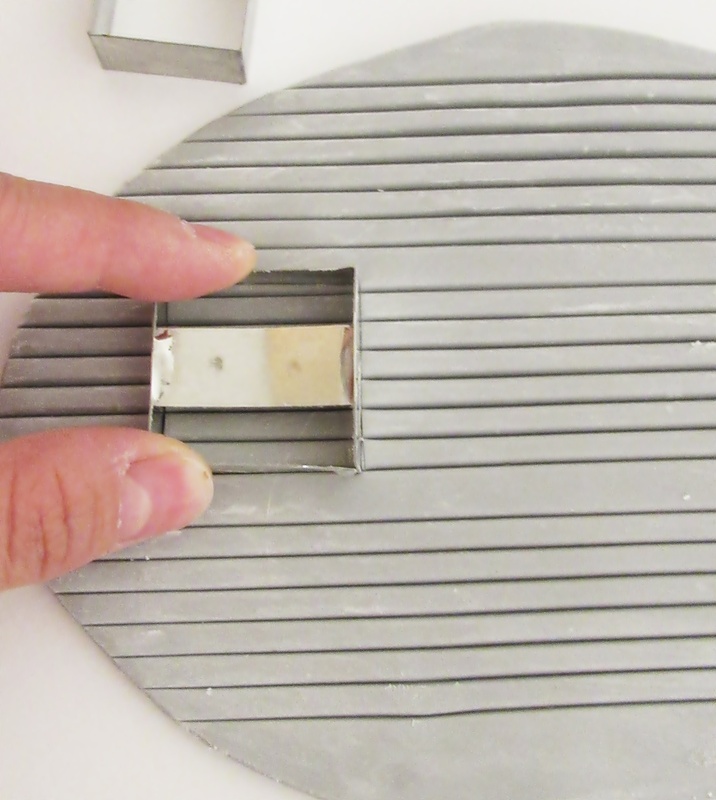 Using the PME strip cutter form equally spaced lineacross the rolled out paste. Continue until paste is fully marked with lines. Do not press too hard in order to avoid cutting through the paste. Repeat to form a number of squares. Position 4 of the squares together with the lines vertically and 4 of the squares together with the lines horizontally. 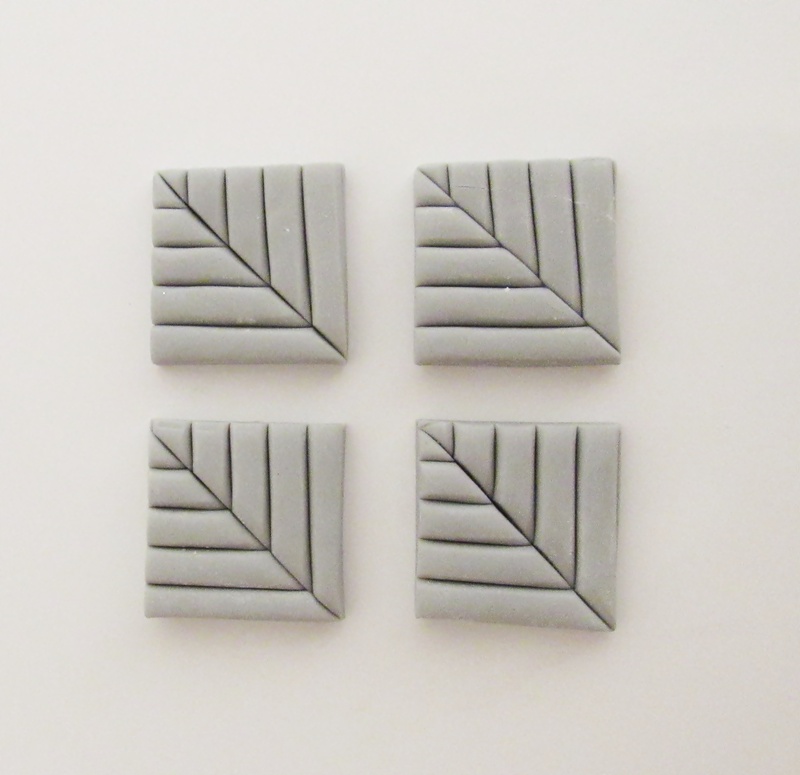 Cut each square diagonally across from corner to corner with a sharp knife. Take one triangle from the vertical squares and one from the horizontal squares. 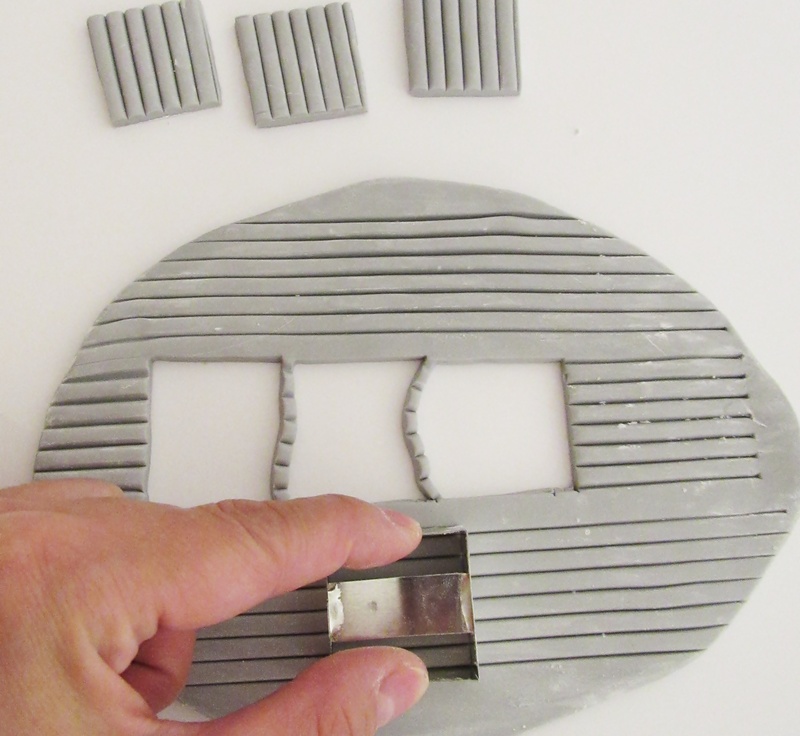 Offer them together so that the strip cutter lines match and line up. 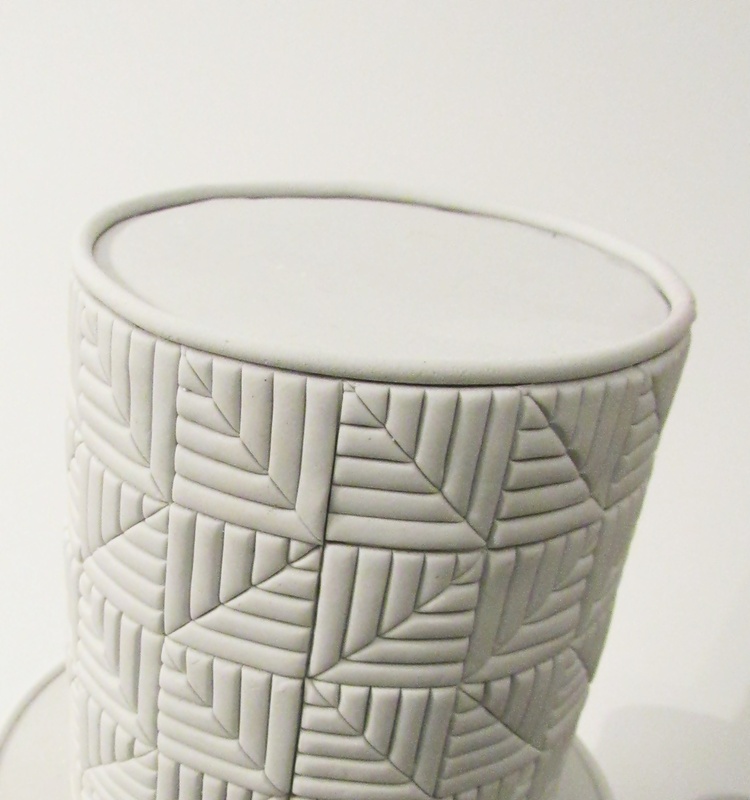 Using a small amount of glue fix the two triangular pieces together. Note at this stage the outer edge won’t line up perfectly.. 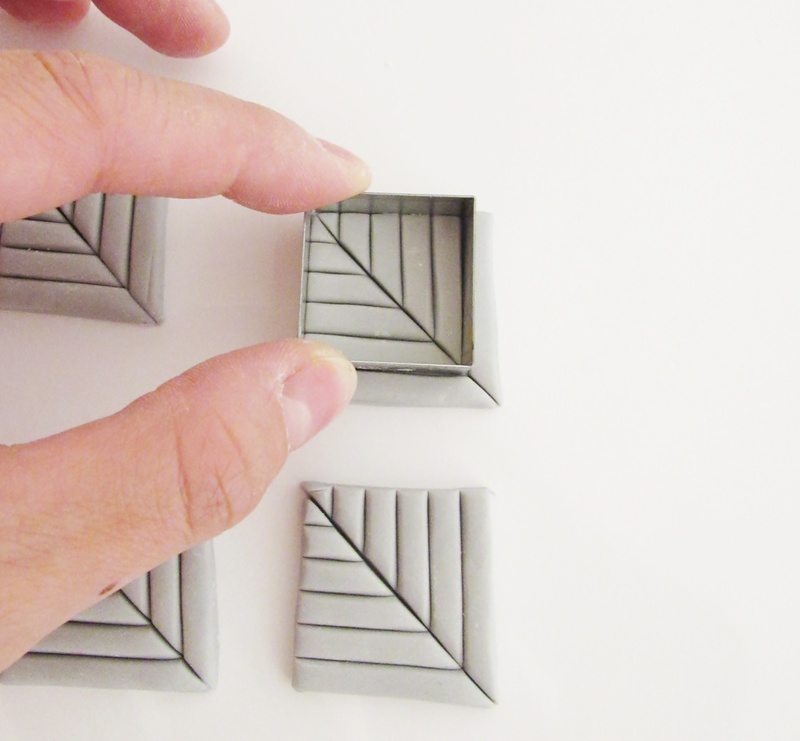 Using a slightly smaller square cutter cut out a perfect square from each glued piece. 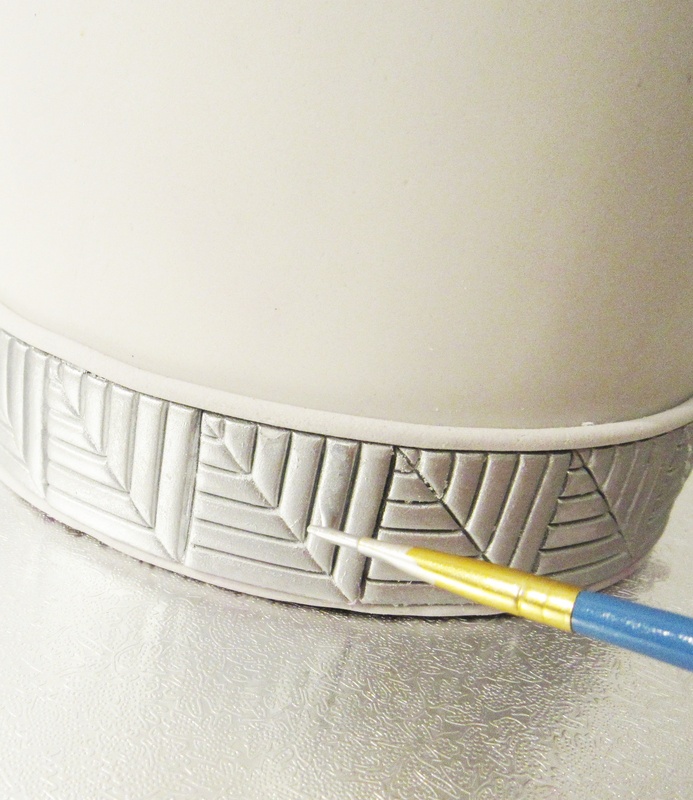 Care is needed to line up the cutter with the lines on the paste. Repeat this process until all are cut out into perfect squares. Place the covered top tier onto a drum on your turntable. Using edible glue fix the squares around the base of the tier. Care is needed so all the squares in one row are in the same orientation and line up perfectly. Repeat for a second row rotating the pattern to the opposite direction of the row below. Continue until the whole tier is covered with rows of squares. 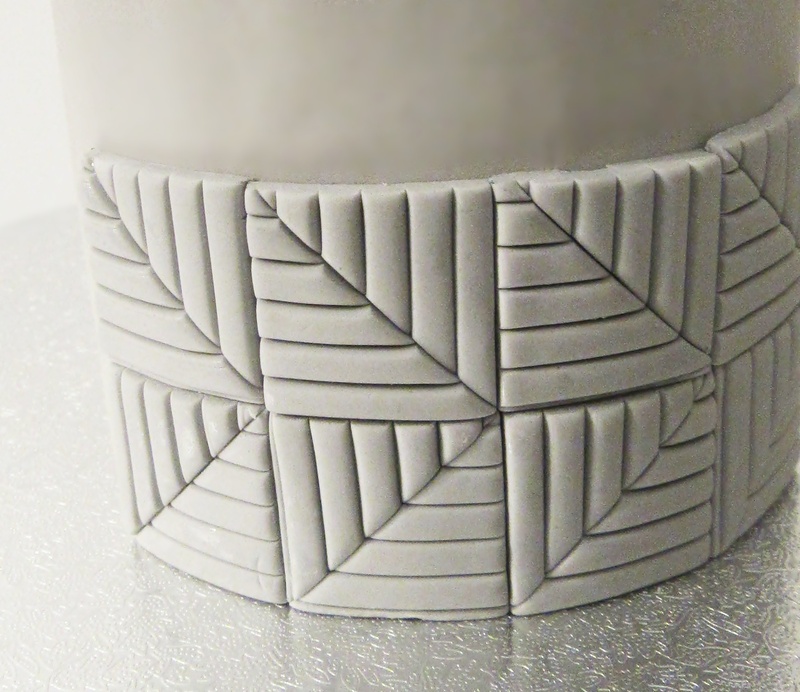 Alternate the pattern for each row up the cake. Using the extruder form a bead around the top perimeter. 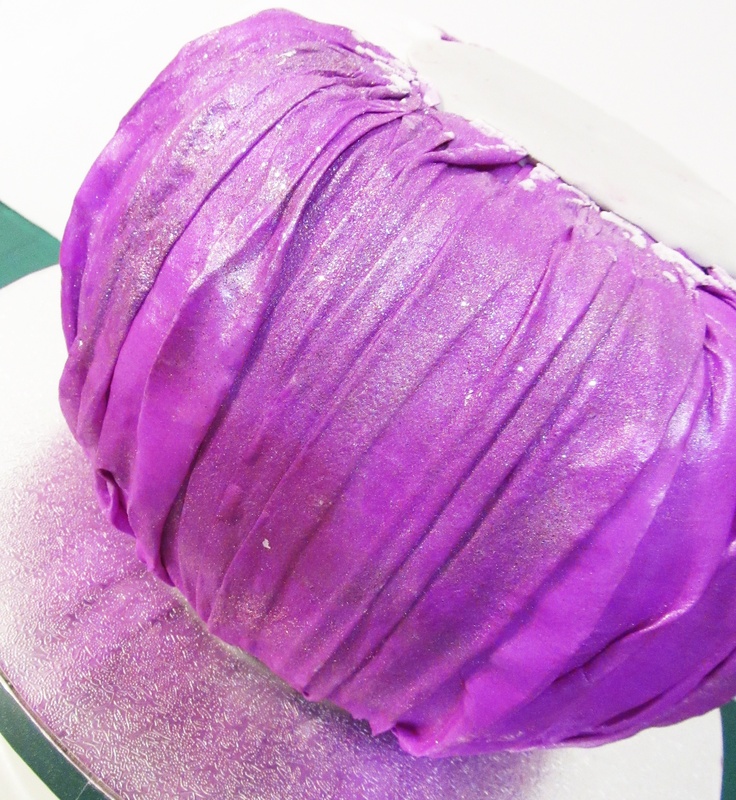 The joint in the bead should be to the rear of the cake and blended to hide the joint. 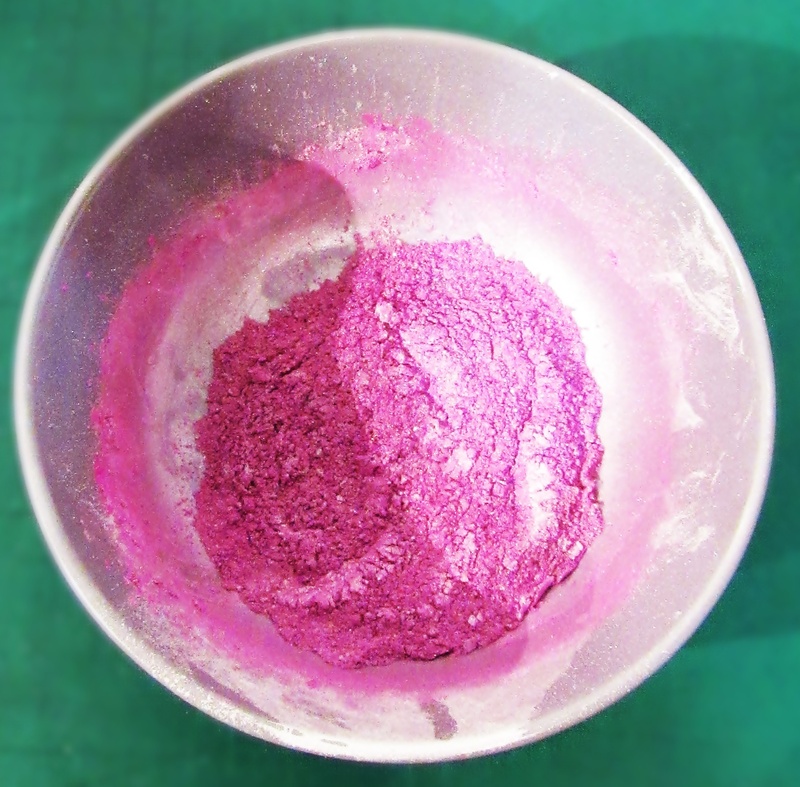 Mix Rolkem Silver dust with clear alcohol. 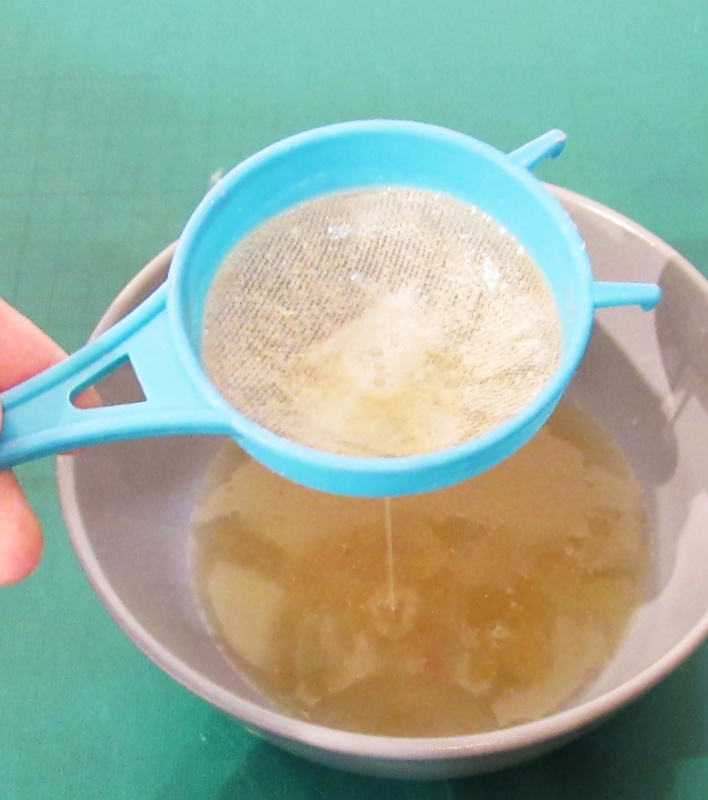 The consistency should not be too thick and liquid enough to apply evenly. 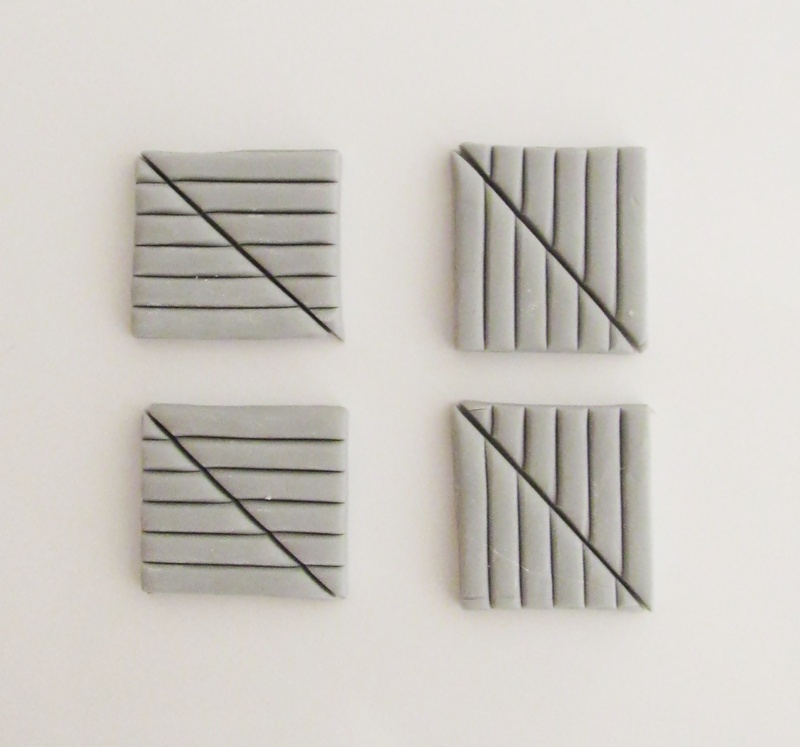 Paint the squares using a small brush to achieve a different finish and extra results. 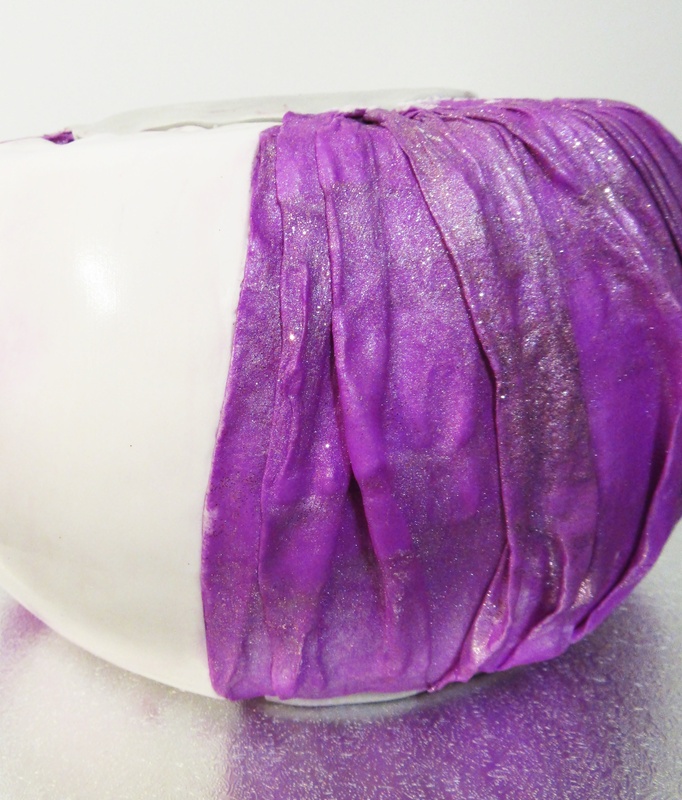 Now for the ‘purple cabbage’ barrel tier. 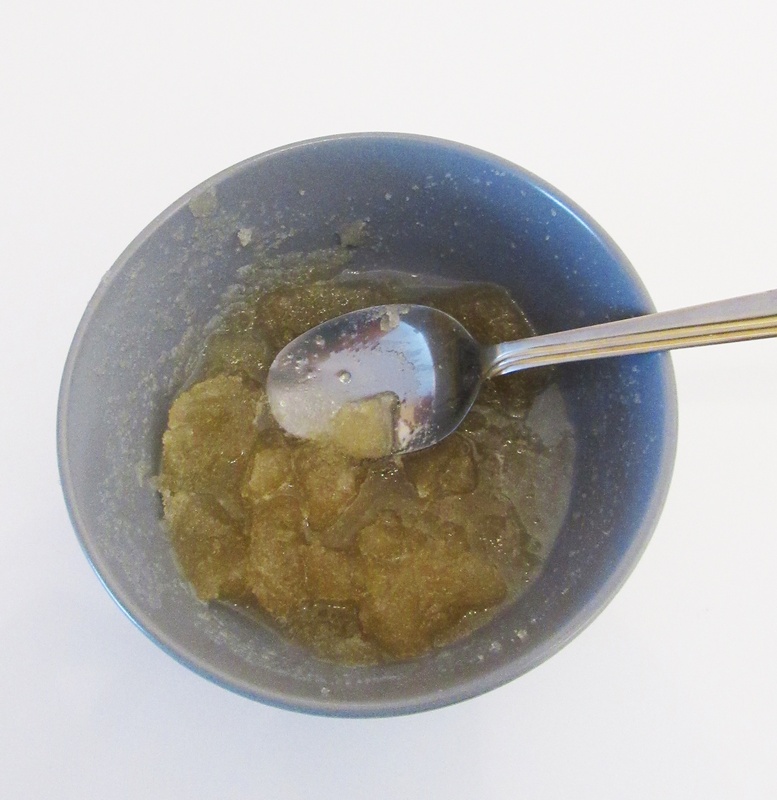 Add 130ml water and 36g gelatine to a bowl and mix well to dissolve. Leave to stand for 15 minutes to set. Add 80ml of glycerine and stir well. 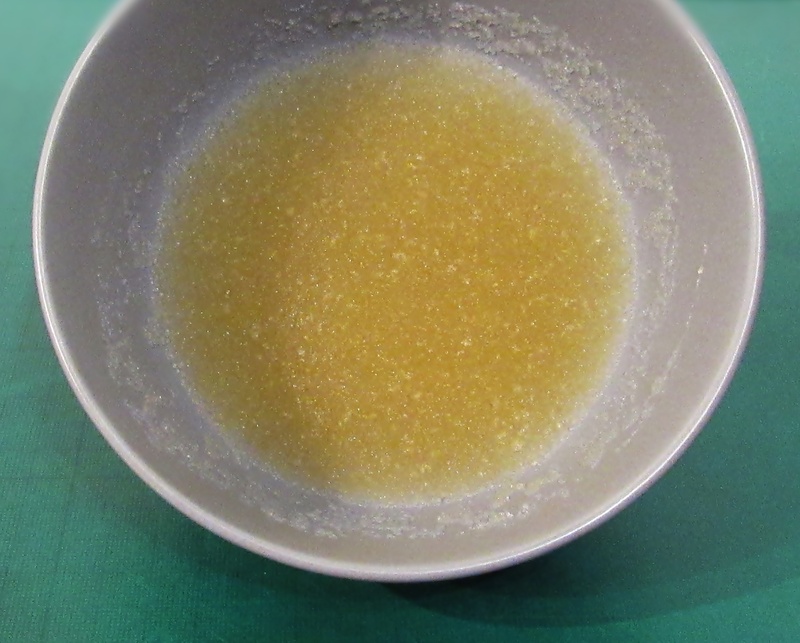 Put the mixture into a microwave for 15-20 seconds until it becomes a liquid.Sieve the gelatine/glycerine liquid to remove all lumps and white bits from the top of the liquid. 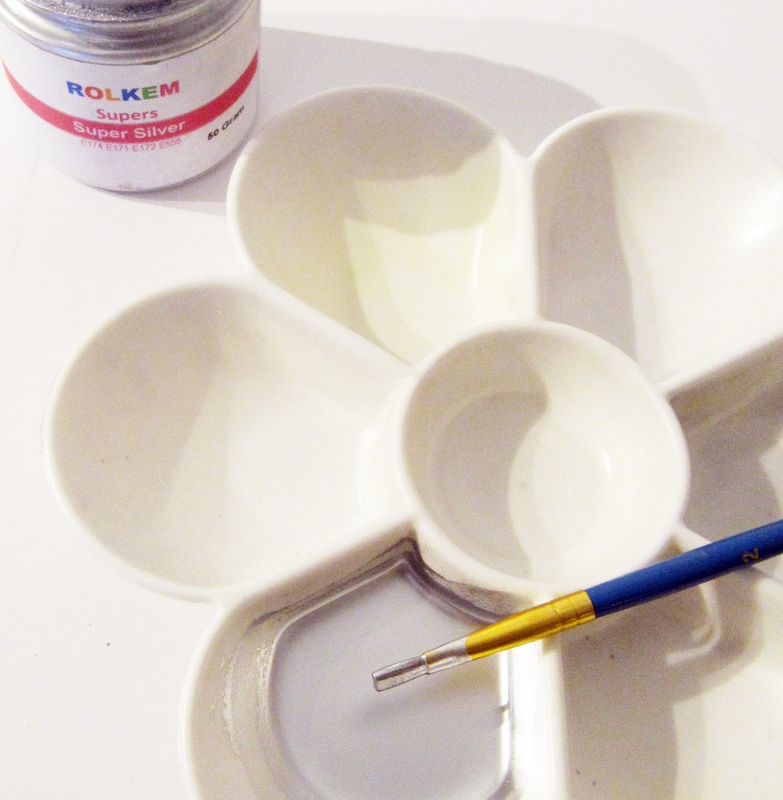 In a separate bowl mix the Rolkem colours to achieve the required colour. 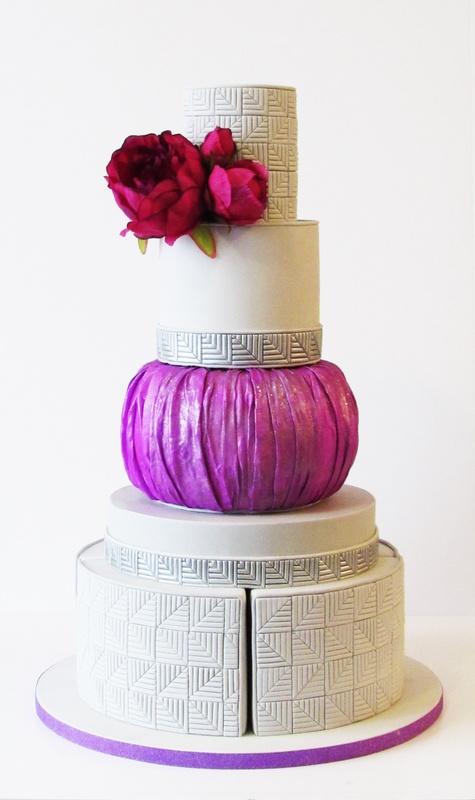 Different colours of choice can be used to suit your design and style. Lay one sheet of wafer paper on a board. Paint with the liquid gelatine mixture. Cover the whole sheet on both sides and leave for approximately 5 minutes. 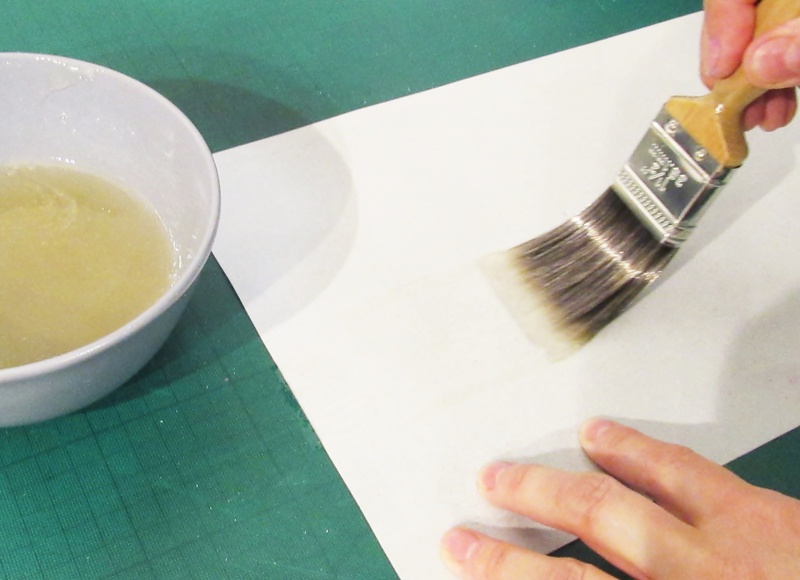 Using a large make-up brush dab on the colours to fully cover one side of the sheet. Gently shake of the excess dust. The sheet of wafer paper should be soft and pliable. 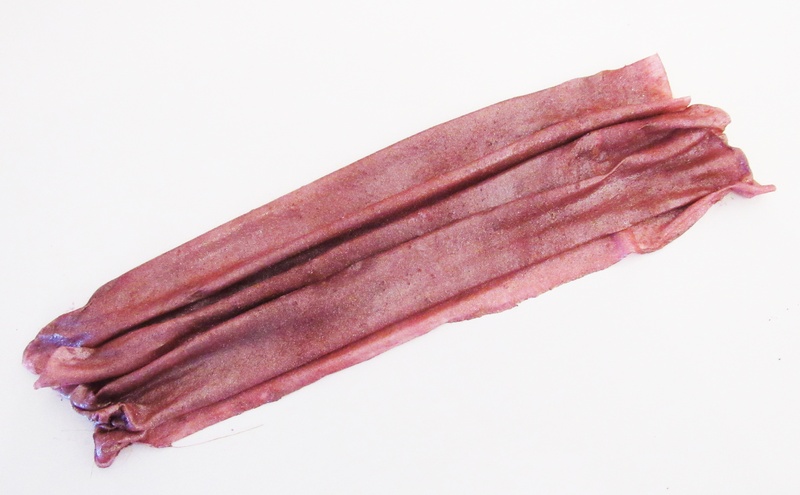 The gelatine mix details provided will cover up to 10 sheets of wafer paper. 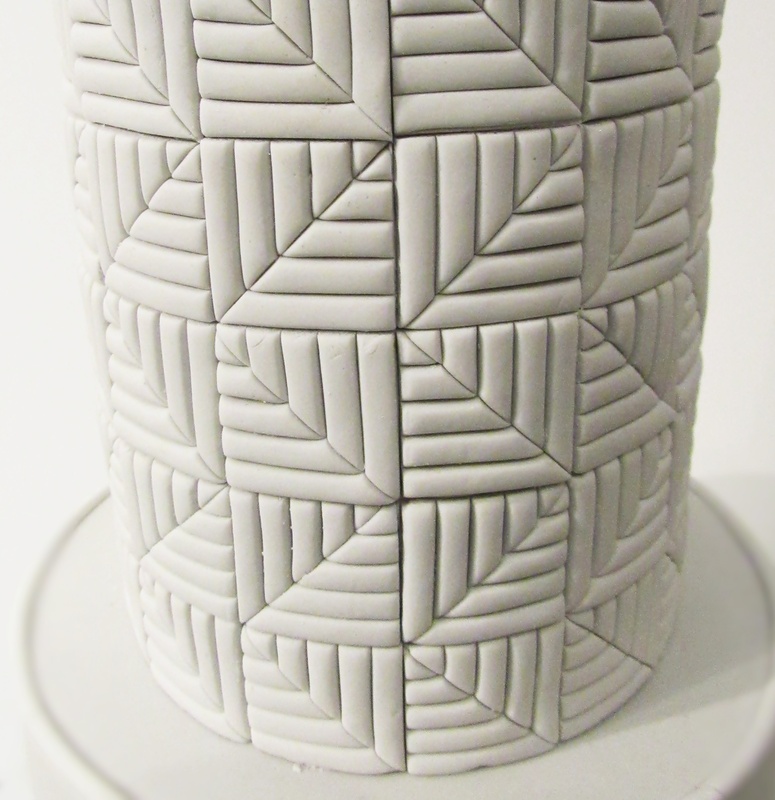 Apply edible glue on to the top edge of the barrel cake. 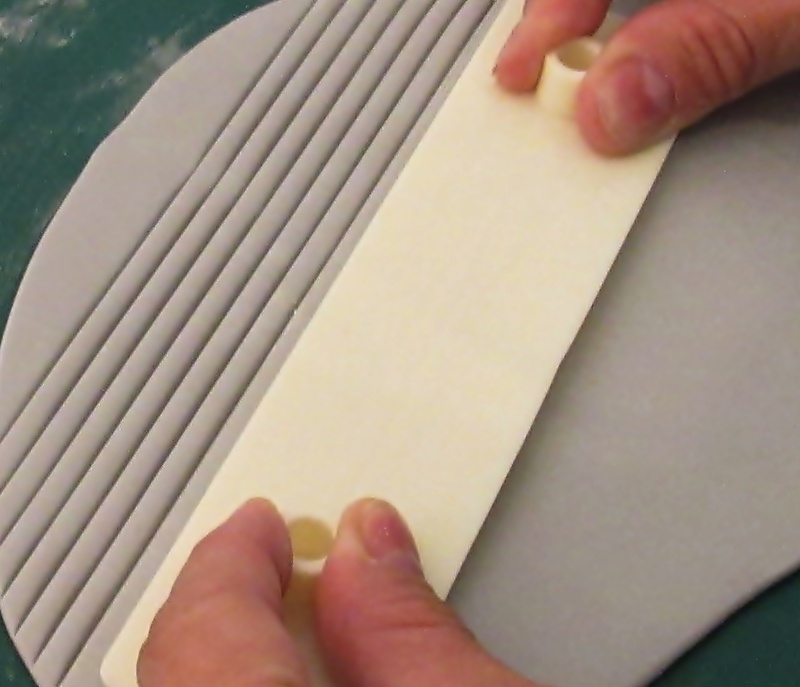 Gently fold up the wafer paper and fix to the top of the barrel. 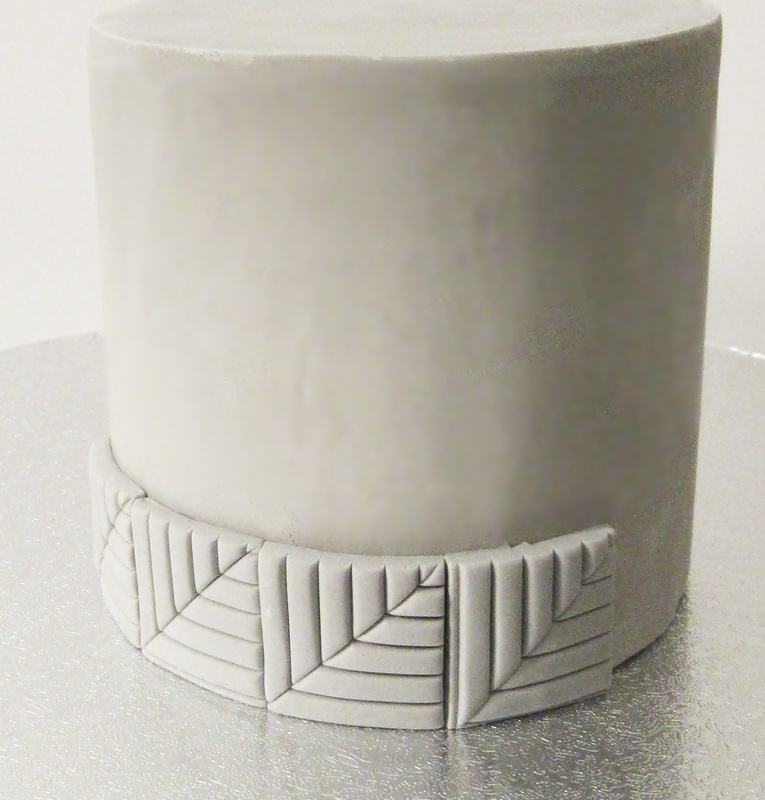 Use royal icing to secure each tier in place. Fix the pre-made flowers into the flower pick. That completes the cake.